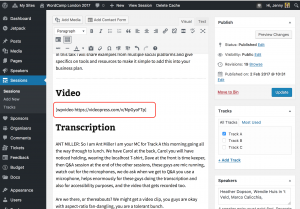 Once your videos have been uploaded to WordPress.tv, you can embed the video back on your WordCamp site. Here are the steps to do that. 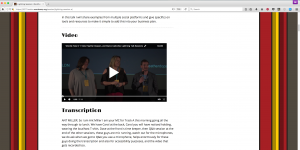 Click on the Share button located to the top right of the video player. 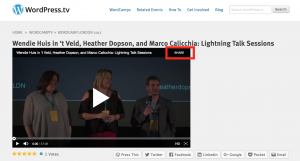 Go to the edit screen of the WordCamp page where you want to embed the video. 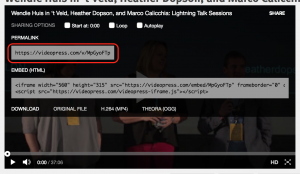 Add in the shortcode [wpvideo ] where you want the video to appear. Paste in the permalink address to the short code just before the final square bracket ]. The shortcode should now look something like [wpvideo abcdefgh]. 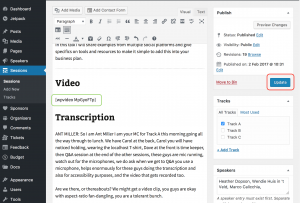 Press publish or update the post. 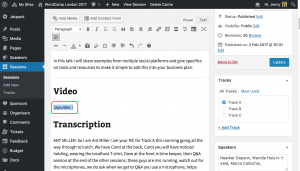 The video will appear in the content of the page where the shortcode was inserted. 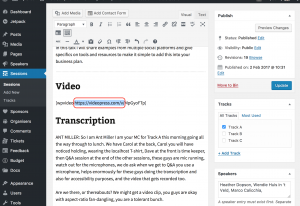 For more information on the WordPress.tv video shortcode please see the documentation on VideoPress on the Jetpack website.